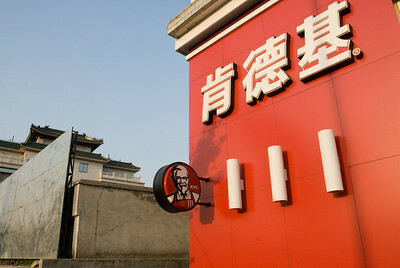 There are more portraits of Colonel Sanders hanging around Beijing than portraits of Chairman Mao. 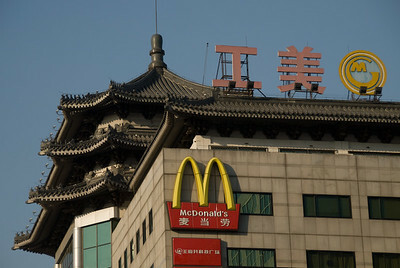 The golden arches of McDonalds are so ubiquitous throughout the capital that you almost don’t notice - they blend-in with the Beijing’s visual aesthetic to the extent that they somehow look like they’ve always been a part of it. 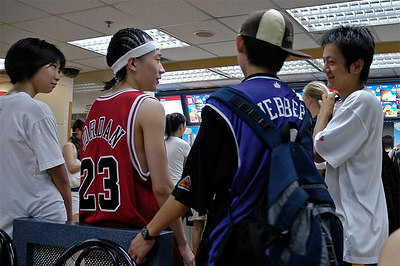 I suppose the Chinese go out for “American food” the way Americans go out for Chinese food. Still, it’s a bit incongruous to see these American fast-food icons packed with people who barely a generation ago had never even heard of McDonalds and KFC. I don’t know if it’s the food they like, or the vibe, or both, but these retaurants are always busy and all demographics are represented. I wonder if they’re ready for Taco Bell. sad, our greatest gift to other cultures, garbage disguised as food and the garbage that decorates it. That same thought has occurred to me on more than one occasion while in China. For the last decade or so it seemed clear that many Chinese – particularly the young, well educated and upwardly mobile - were enthusiastically embracing anything with the trappings of Western culture. That was a big turnaround from the days of Mao and Deng when Western society and ideals were actively demonized. At the end of the day, however, my sense is that the rank-and-file Chinese have transformed themselves inexorably into a consumerist society, both for better and worse. For the youth of China especially, a new day has dawned.